I'm here with a second post. Be sure to check out previous post from today. There's a New Challenge Blog in town. I fell in LOVE with my Cameo the moment I received it. dedicated to the Silhouette Cutting Machines. So I thought I would start one. Here are the first challenge details. 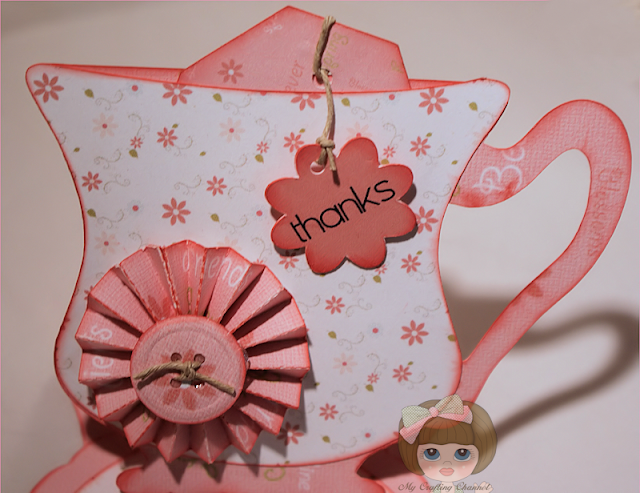 Teacup Easel Card with Pockets. Also drop by 2 Creative Chicks a new challenge starts there today. OMG I love it!! So stinking cute. The sentiment goes perfectly. Great job! This is so beautiful I lovve the design.Such pretty papers. Have a great Wednesday!! This is fabulous Nana, I like the design the colours and the perfect sentiment. What an awesome card Nana!!! Love the colors and papers and GREAT overall design!!!!! Very beautiful teacup card . I like the color and sentiment and how it opens. Super cute! Thanks for linking up for the "Pun" linky party over at Craftin' Desert Divas! Beautiful easel card!! Love that teapot!! Thanks for starting the new challenge blog. I'll have to go over and join in the fun! AWESOME my friend!!!!! !Your Tea cup is BEAUTIFUL!! !Great creative minds do think alike...LOL!! The sentiment is just SWEET and so Perfect! Thank you for sharing at Little Scrap Pieces this week for our Buttons and Bows challenge. 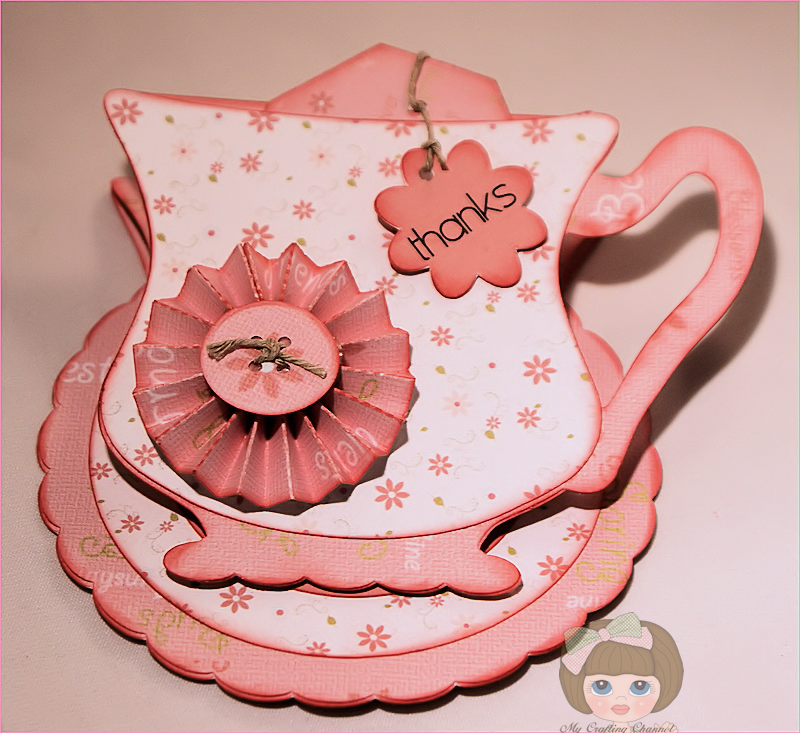 This tea cup card is fabulous!!!!! Would make a cute Mother's Day card also!!!!! Oh my gosh, HOW PRETTY! What a gorgeous card! This is really cute!! I love the idea of making the cup a pocket!! Might be borrowing this idea for some of our mother/daughter luncheon treats!! You know I already LOVE this card and I'll even make you a cup of tea! What a pretTEA card, Nana!!! Love the color choices and of course that sentiment is darling. TFS! 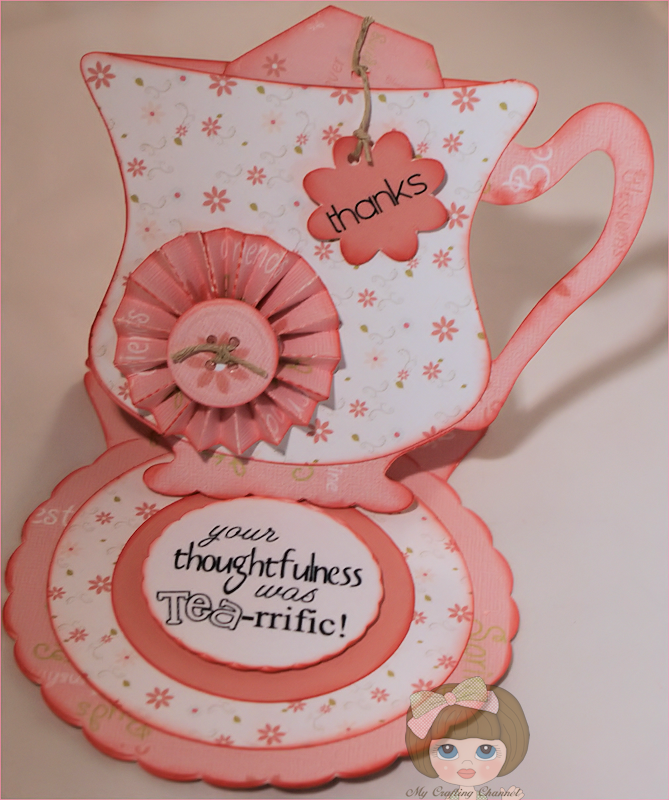 I agree with Donna what a PretTEA card..I loved it so much I went and bought the file, I have many friends that are tea drinkers that this would be perfect for.